I feel like it’s really easy for all us crafty people to get caught up in our piles (& piles) of WIP’s, and sometimes to become a little impatient that they’re not going quick enough. I stumbled across this on Pinterest, and I think it’s a reminder to take it all in. Take it all in that you have the ability to create something magical. Take it all in that you have the resources to create something unique. Take it all in that you have the time to create something special. Take it all in that you are making something that is close to your heart, something that represents you. Take it all in that you can gift your creations to make others feel special. I get impatient when I feel like a project is taking too long. I know it’ll be worth it in the end, and I know I’ll get there, but sometimes I’d like to to just go that little bit faster. This is my reminder that I’m lucky, and blessed to have the opportunity and support to be the maker of something wonderful. 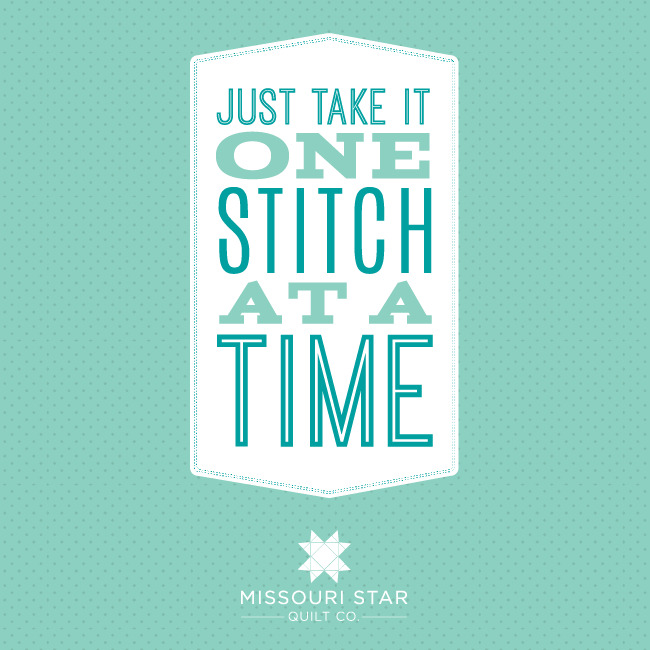 Yes you’re right, that’s such a great point .. every stitch really is one more towards the finished project! I definitely find myself rushing to finish, and then my stitches aren’t as flat which is just downright annoying haha .. There’s merit to patience is a virtue I think.